It is also home to 18% of the world’s population, living off 2.4% of the world’s land area. In this context, one might ask what are the throughputs being used to feed and build the country, and how sustainable can these growth rates be? To answer questions of sustainable growth, we must first explore what we mean by growth, and then dissect the sustainable part—that ubiquitous word with ever-less meaning. So, what do we mean by growth? Generally speaking, in this context, the conversation is focused around economic growth, and for several decades, growth in gross domestic product (GDP) has been the primary goal of economic and development policy. The appropriateness of growing GDP as a measure of success is now seriously in question. GDP can be and often is used as a proxy (rather than a direct measure) of the standard of living because as standards of living increase, GDP generally increases. There are, however, shortcomings. Firstly, GDP per capita is not a measurement of the standard of living of an economy, and was never actually designed to be so. In 1934, the economist Simon Kuznets wrote in a report to the US Congress, “The welfare of a nation can, therefore, scarcely be said to be inferred from a measure of national income..."
Secondly, there are several limits to using GDP to judge the health of an economy and in particular to measure the health of an economy over the long term. GDP does not measure wealth distribution or the grey or black markets, barter economy and subsistence production. Thirdly, if the aim of an economy is to produce sustainable growth, then GDP is a measure focused on throughput of materials, capital and labour rather than the outcome of better lives. In this case, GDP is actually a perverse measurement as it treats a loss of ecosystem services as a benefit rather than a loss. Deforestation increases GDP in the short term, as does war, neither of which is a benefit to the long-term health of an economy or its individuals. So, if how we define growth is up in the air in our exploration of sustainable growth, then what do we mean by “sustainable"? There is a classic definition of sustainable development: “development that meets the needs of the present without compromising the ability of future generations to meet their needs". Whether one has an environmental bone in one’s body or not, this is a sensible definition of development, sustainable or otherwise. Ten years ago, at the Johannesburg Earth Summit, an African elder defined sustainable development as “enough for all forever". 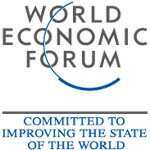 For the first time in 30 years, the World Economic Forum has attempted to integrate sustainability measures into its Global Sustainability Report. If measures such as resource use and pollution were to be incorporated into the rankings, India would fall more than 10 spots from 56th place. As part of this exploration, seven new quantifiable variables were consulted, in addition to the 10 original ones. These new variables are health, primary education, social cohesion, environmental policy, resource efficiency, management of renewable resources and environmental degradation. Many of these variables are the same issues that are included under the umbrella of the Millennium Development Goals. Perhaps if the world takes a different view of sustainability, which encompasses more than just the environment, then new quantifiable variables such as these can be used to track society’s progress over the long term. India is certainly not the only economy with sustainable growth challenges, but as the world’s largest democracy, it has an obligation to the long-term quality of life of its citizens. Perhaps, rather than looking for aspiration in the US where the quest for quantity reigns, India might look to its tiny neighbour to the north, Bhutan, one of the world’s youngest democracies, to explore how measuring gross national happiness can lead to better quality of life and more sustainable growth.